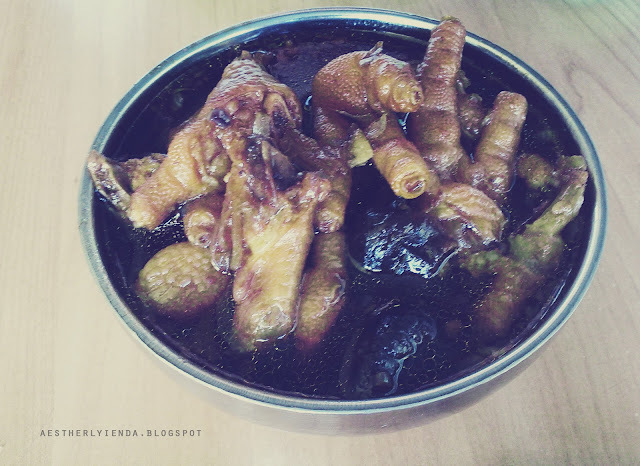 Kaki ayam, chicken feet or kai kiok. Decided to visit Kedai Kopi Hui Chow again, for breakfast. If you're staying around Kota Kinabalu, Penampang or somewhere near that place, you'll easily spot if from the street. Its located opposite the Arkib Negeri Sabah. Or, you can google it for easier finding. Okay, back to square one. I love their Char Nyuk Mien. They serve it with sliced char kui. The fiancee ordered us kai kiok as side dishes (as if I'm not already overwhelmed over the mien). Fiancee tried their wild boar mien.. I love them. Its delish, so does the mien. I used to dislike them because, you know, it's chicken feet. Its what chicken use to step on.. unwanted thingy. euu. But if you don't try it, you'll never know, said the fiancee. So I had a couple of bite sometime last year and I've been a big fan since. Dad always cook me this whenever I come home for the holidays. ketulahan la tu org yg pg curi ur pny camera ! 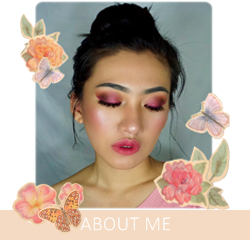 nah kotoh kna sumpah uda.